To celebrate the 2nd anniversary of the Northumberland International Dark Sky Park, Northumberland Tourism are running a stargazing photography competition. Due to its unspoiled skies and minimal light pollution, the sky above Northumberland National Park and Kielder Water & Forest Park was awarded Gold tier designation in 2013 by the International Dark Sky Association. This makes it officially the best place in England to enjoy the night sky. Stretching 1470 square kilometres above the rural Northumbrian landscape, it is also the largest area of protected dark skies in Europe. Stargazing has become a widespread cultural phenomenon, capturing hearts and minds of the public. Guided events at Kielder Observatory are often sold-out in advance. Programmes like BBC’s Stargazing Live and global astronomical movements have become national news features, such as the recent ‘supermoon’ and aurora borealis. Whilst the night skies are beautiful throughout the year, stargazing is a great recreation for the colder autumn and winter months when the skies are darker. The best thing about stargazing is you don’t even need an expensive telescope to enjoy Northumberland’s dark skies. Just wrap up warm, pack a pair of binoculars, a hot drink and bite to eat, and head off to enjoy a star studded show. 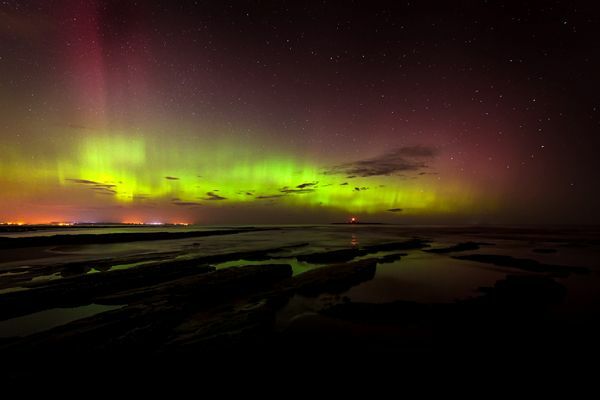 The 2015 Stargazing Photo Competition is looking for the best photographs of the Northumberland night skies - from mesmerising shots of the aurora borealis and amazing close-ups of the constellations, to lively selfies in front of the beauty of our Northumberland Dark Skies. Send your images to info@northumberlandtourism.co.uk and include information of where and when you took them. Whether they were taken at events in the Northumberland Dark Sky Park, on the Northumberland Coast AONB or just from your back garden, all are welcome! The winning image will be announced on Wednesday 9th December. The winner will receive a family ticket for a Kielder Observatory ‘Family Astronomy’ event.